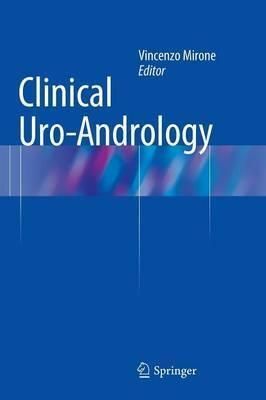 In this volume, undisputed leading experts from Europe and beyond come together to cover the field of andrology in its entirety, providing a guide that will be of value to urologists and other physicians in their daily clinical practice. It is designed for a wide audience, including both those coming into contact with andrological issues for the first time and more experienced readers requiring updated guidelines and advice on the most controversial and thorny issues. A wide range of topics is covered, including male genital abnormalities, disorders of pubertal development, gender identity disorders, Peyronie's disease, sexual dysfunction, hypogonadism and infertility, urogenital infections, urogenital cancers, and andrological emergencies. Clinical Andrology will prove an invaluable quick consulting tool, rigorous in its scientific content but at the same time easy to read and rich in images and tables.